North of Santiago, in northern central Chile, there is a region with two distinctive traits that make it unique in the world. Its administrative name is IV Región, but its inhabitants prefer to call it Región de Coquimbo, after the port city whose name (in the Quechua language) means “place of calm water”: Coquimbo was once a stopping place for conquistadors such as Pedro de Valdivia, as well as pirates and corsairs including Sir Francis Drake and Bartolomeo Sharp. 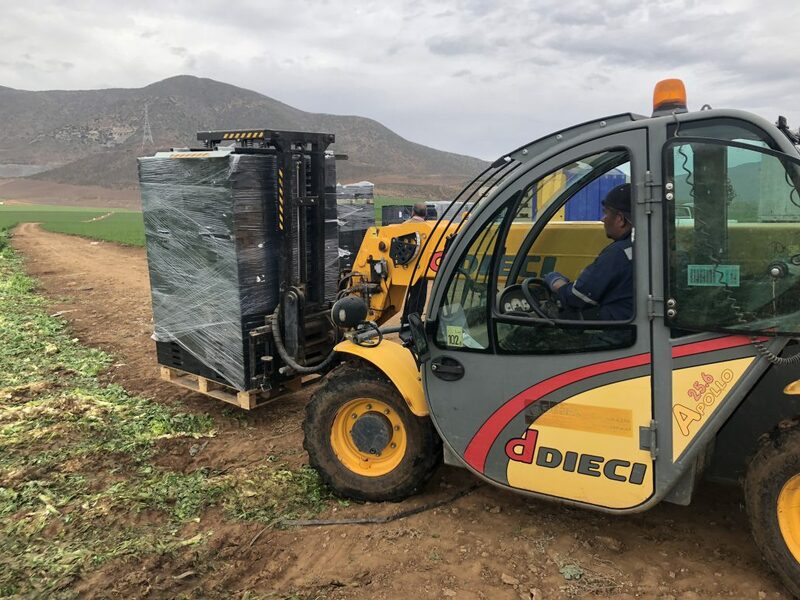 This area of Chile enjoys some of the clearest skies in the world, along with the nearby region of Atacama, and has a microclimate that particularly favours agriculture. Chile is the world’s largest producer of table grapes, the second-largest producer of kiwifruit and avocados, and—thanks to its counterseasonal production period compared with northern hemisphere countries—one of the largest exporters of fresh fruit and vegetables for the European and North American winter markets. The region’s valleys are covered with lush orchards, fine vineyards (that produce Pisco, a mild-tasting brandy that was favoured by actors such as Orson Welles and John Wayne), and profuse vegetable crops (including lettuce, tomatoes, cauliflower, potatoes and celery) that supply markets all over the country. In an area of 200 hectares near Coquimbo, an Apollo is used to collect celery, a key ingredient in Chilean cuisine. 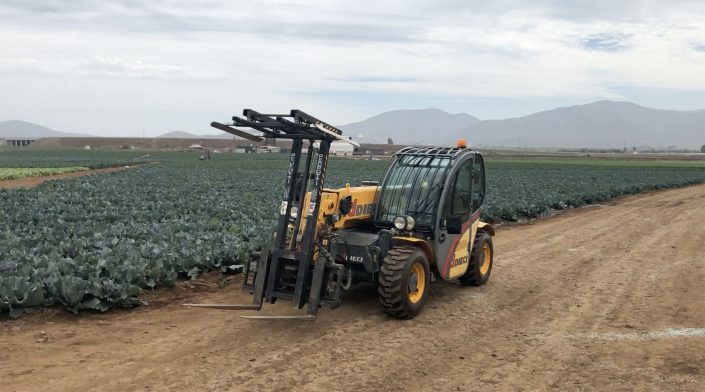 Celery needs to be eaten fresh, so prompt harvesting and shipment are essential. Our Apollo (sold in Chile by Dieci dealer Salinas y Fabres) has a special attachment, mounted at the top of the lifting boom, that helps it to securely lift large 42-crate pallets, loading them quickly onto refrigerated trucks that take the fresh produce to markets throughout the country, as well as others in Peru and Argentina. The nearly 6-metre-long boom extension and the sideshift plate enable the Apollo operator to quickly and optimally deposit loads onto the variously sized wholesaler vehicles that arrive in Coquimbo to collect produce. 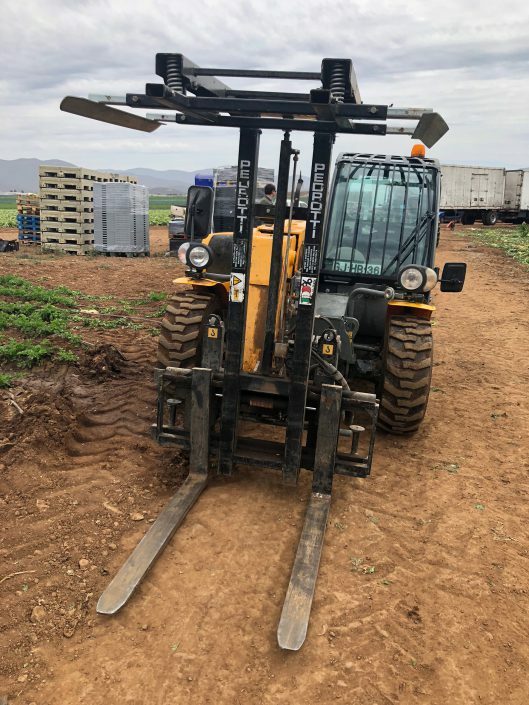 The compact dimensions of the Apollo, its 2600 kg load capacity and its excellent power output and manoeuvrability, even on uneven ground, make it ideal for completing loading tasks quickly and safely. 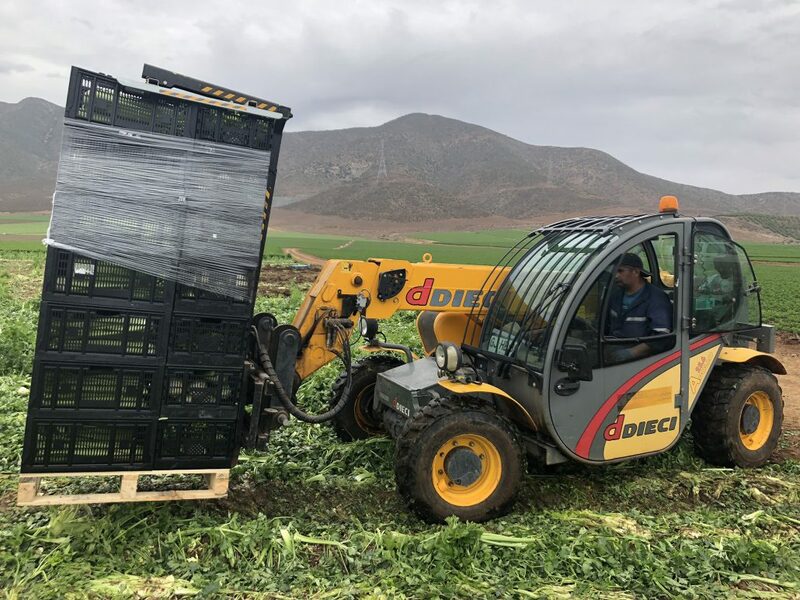 And once the celery is harvested, Apollo turns its attention to crops of cabbages, followed by potatoes, carrots and all the other typical produce that make the Coquimbo Region a fresh food paradise.